In an article in the publication The Guardian Secretary General António Guterres calls attention to the opinion of the youth in the field of climate change and presents a plan containing concrete solutions for the implementation of the Summit on climate change measures, which will be held in September. In May of this year, the Atomic Energy Information Center will be opened in Tashkent. This was announced by the president of the industrial complex “Rusatom - international network” Alexander Merten, Kun.uz correspondent reports. Climate change - our reality. Today, all countries in the world, one way or another, forced to take measures that would minimize the damage from the adverse impacts of climate change. 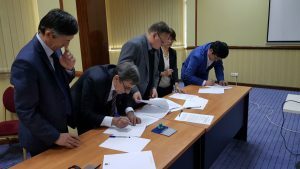 On April 13, 2019, the Ecological Party of Uzbekistan, the Ecological Movement of Uzbekistan and the Institute for Democracy and Law organized a training seminar on the topic: “Raising a healthy, environmentally healthy personality is an important factor for environmental sustainability”, dedicated to the Day of Ecological Knowledge. 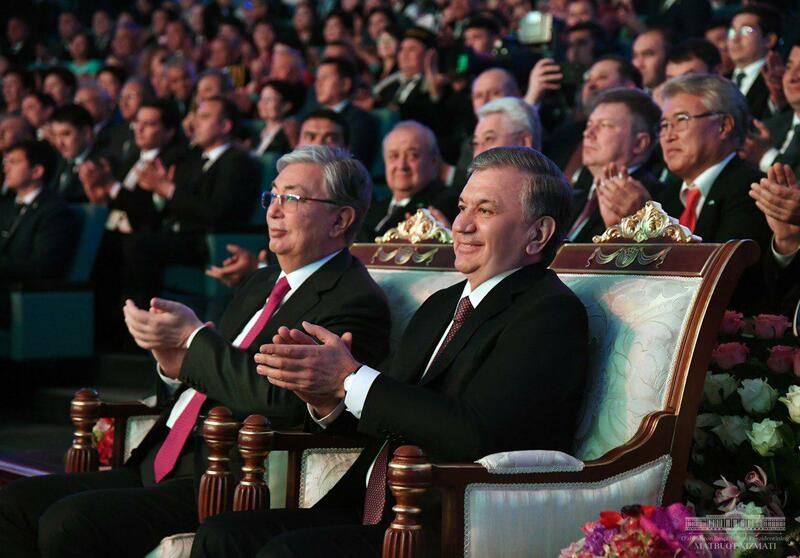 On April 15, members of the deputy group and employees of the Ecological Movement of Uzbekistan, activists of the Ecological Party of Uzbekistan took part in the opening ceremony of the Year of Kazakhstan in Uzbekistan, held in the Palace of International Forums "Uzbekistan" with the participation of the heads of state of Kazakhstan and Uzbekistan. "Round table" in Tashkent "One belt-one way"
On April 16 of this year Representatives of the “Uzbekistan-Belgium” Society took part in a round table on the topic: “Prospects for Uzbek-Chinese cooperation in joint construction of a “One Belt - One Way ”, which was held in the Amir Temur Hall of the International Hotel Tashkent, organized by The Committee on Interethnic Relations and Friendly Relations with Foreign Countries under the Cabinet of Ministers of the Republic of Uzbekistan, the Embassy of the People's Republic of China in the Republic of Uzbekistan, the Chinese People’s Friendship Society with Foreign Countries. On April 12, 2019 in the Legislative Chamber of the Oliy Majlis of the Republic of Uzbekistan, a deputy group of the Ecological Movement and the Committee on Ecology and Environmental Protection held a round table on the theme “Development of environmental education and training in the country”, timed to the International Day of Ecological Knowledge.